godzilla Archives - Horror News Network - The Horror News You Need! It is clear that the El Rey Network understands what the holidays are all about: giving. Therefore, it should be no surprise that El Rey’s annual giant monster mash, Kaiju Christmas, is once again taking over their airwaves on December 22. Deadline has a report that Alexander Skarsgard is the latest actor to join Godzilla vs. Kong. The Emmy Award-winning Skarsgard is most known for his portray of Eric Northman on the cult TV show True Blood. When it is finally released in 2020, Godzilla vs. Kong is expected to make a huge splash and become the highest grossing Monsterverse film to date. The series has grossed over $1 billion worldwide with Godzilla bringing in over $529 million and Kong: Skull Island grabbing $566 million. 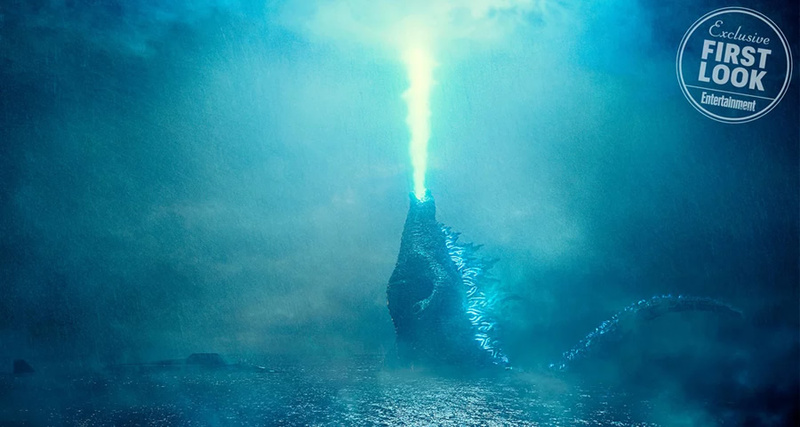 After a long wait, the much-anticipated trailer for Godzilla: King of the Monsters has arrived. The preview of the next chapter in Warner Bros. Pictures’ and Legendary Pictures’ cinematic MonsterVerse, promises world-wide chaos and in addition to Godzilla, give us the slightest glimpse of Mothra, Rodan and King Ghidorah. When these ancient titans rise again, they all vie for supremacy, leaving humanity’s very existence hanging in the balance. Entertainment Weekly has debuted two new photos from the upcoming Godzilla: King of the Monsters movie. The first photo shows Dr. Emma Russell played by Vera Farmiga and her daughter Madison Russell played by Millie Bobby Brown sporting winter coats in what appears to be some sort of underground facility. An additional photo displays Godzilla firing his atomic breath towards the sky. 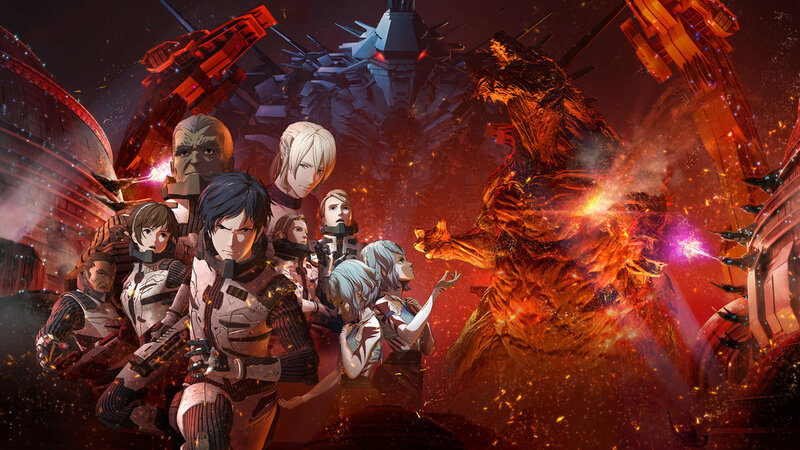 Amidst a summer of live-action comic book adaptations, Netflix is expanding its library of animated features with Godzilla: City on the Edge of Battle set to premier on July 18. 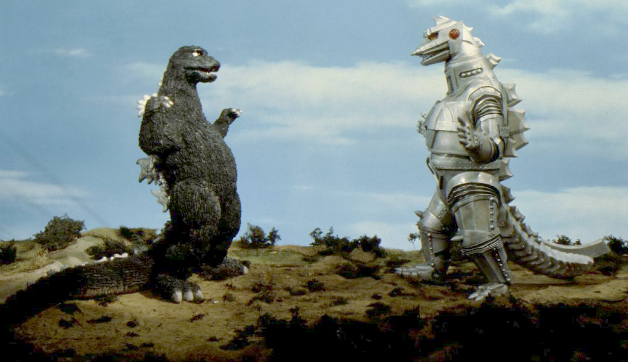 Similar to other films in the Kaiju (Japanese for “strange beast”) genre, the film features humans and robots against the biggest Godzilla to ever be seen in an interplanetary struggle for survival. Godzilla-Movies.com has confirmed that Janus Films/The Criterion Collection has recently acquired the rights to fourteen classic Godzilla films for broadcast on Starz and possible release under the Criterion brand.